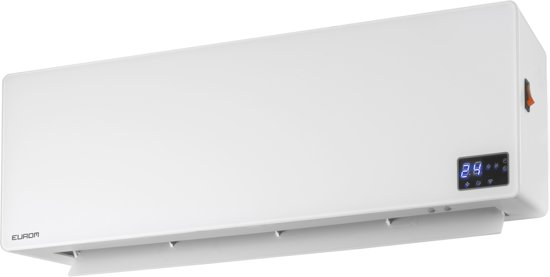 I’m tempted to buy this heater: “Eurom Wall Designheat 2000 WiFi”. is there anyone with experiences with this heater? if I were to buy this heater, I would perhaps like to use it to learn to build the integration for it. How would I go about this? Who wants to help? Eurom E-convect WiFi and Tuya cloud polling. This feature request can be closed. I use a Eurom Heater and has been for a while now. Got it automated to turn on at a specific time and turn off at another. The problem is that after a couple of days it becomes unreachable, both from Home Assistant and the official Tuya app. A power cycle fixes the problem but it is really unreliable. Now it could be a problem with the WiFi but I have no way of testing that until I switch out my old AP for a new Mesh. Have installed the Eurom (=Tuya) heater. Adding it to Home Assistant was a piece of cake! Brilliant. What model are you using? Maybe submit a picture?